Creating an accessible workplace benefits everyone. When you design your internal processes, physical work space, and products to be accessible to all – you create opportunities. Opportunities to recruit, accommodate, and retain diverse employees, support existing employees with disabilities or barriers, and attract a wide range of customers. 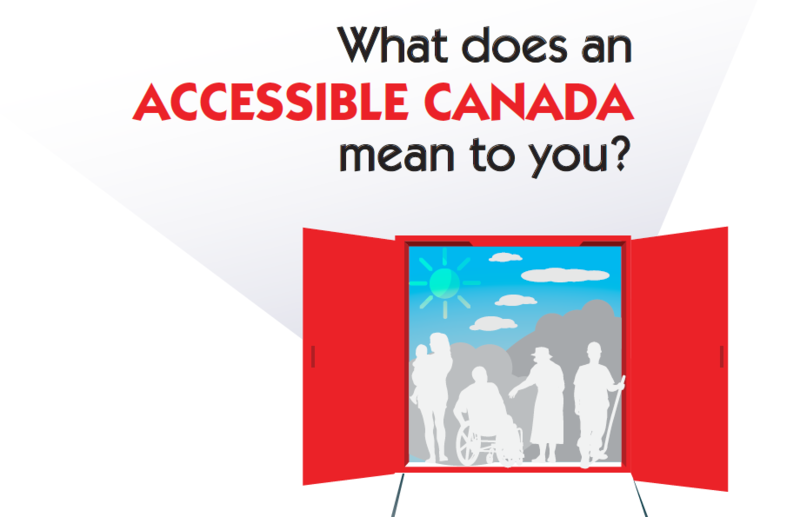 With the proposed Government of Canada Federal Accessibility Act underway, there’s no better time to develop the accessibility of your organization. We’re here to support you. Read below for more information on the upcoming Accessibility Legislation, why it’s important for your organization, and how CAES services can help you. Designing or changing physical environments, systems and interactions to meet the needs of everyone is what Universal Design and Accessibility are all about. You don’t have to be an ‘expert’. Accessing people with lived experience and being conscious and purposeful in the design process are the main requirements. Even to this day, many employers hold some inaccurate ideas about accessibility or accommodations. In fact many employers often equate a large expense towards accommodating job seekers/employees with disabilities, with some thinking that stairs and doors are the only barriers to physically entering a building at a work site. Yet as managers, supervisors, co-workers, and community partners we all have a role in bringing the right to reasonable accommodations to people with disabilities in the workplace. Remaining flexible and utilizing creative thinking will be our greatest strengths towards workplace inclusion. What we all need to remember while addressing accommodations is that accommodations are afforded to all employees with or without a disability, that every person’s experience of a disability is unique, and we need to focus on a persons ability, not on their disability. There’s no time like the present to get started on creating an inclusive and diverse workplace. Contact us today to arrange your FREE Accessibility Consult. Follow along with the hashtag #AccessibleCanada for the latest Federal Accessibility Legislation news.